Hans Fechter was born on 26 May 1885 in Elbing. 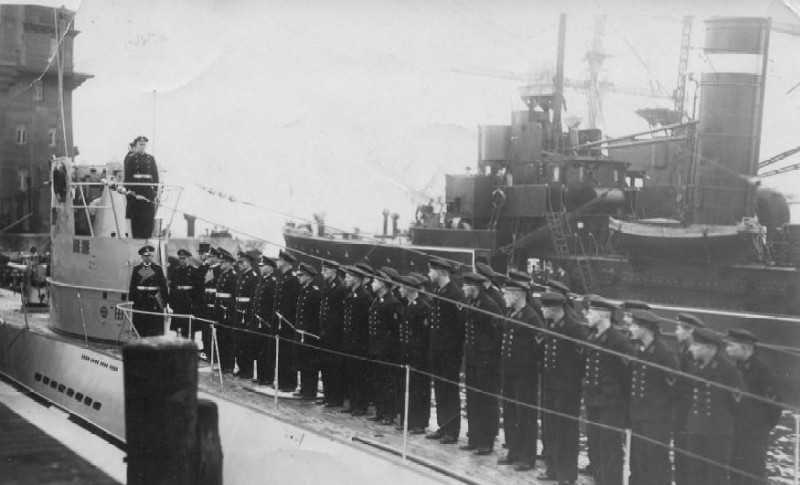 U-35 at commissioning on 03 November 1936. 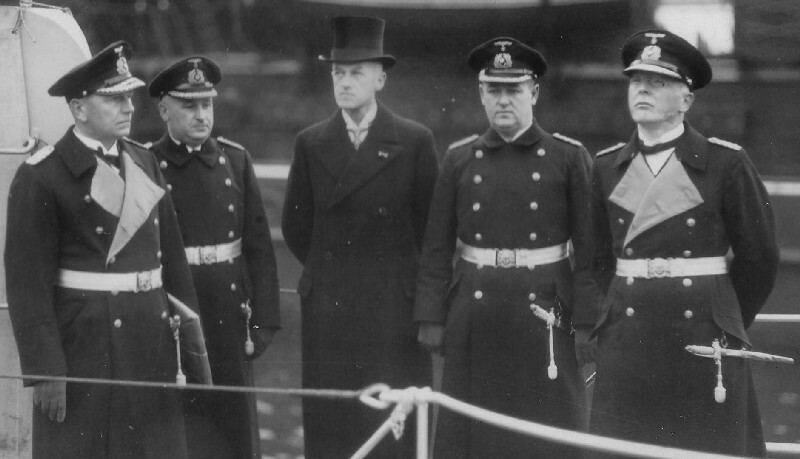 Hans Fechter is the admiral on deck, farthest to the left. Karlgeorg Schuster, Erwin de Terra, Klaus Ewerth, Otto Kretschmer, Kurt Schmidt, Anton Thimm, Walter Arnaschus and Willi Ensuleit are also recognizable. 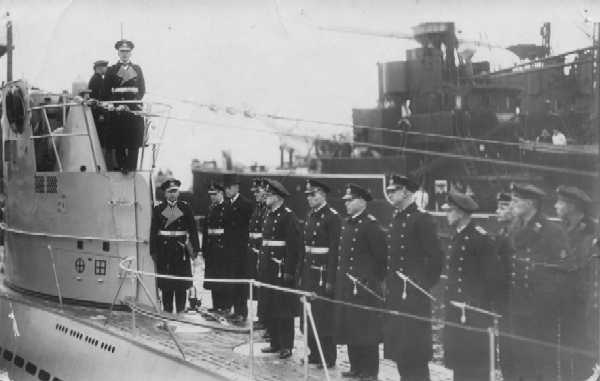 At the commissioning, former crewmembers of SM U-35 were invited as honorary guests and probably taken on a short patrol. This detail of a larger photo includes the honorary guests; from left: Hans Fechter, Wilhelm Johannsen, unknown civilian, Erwin de Terra, Karlgeorg Schuster. Marineingenieuroberaspirant (01 Oct 1912); Engineer and Deck Officer School (01 Oct 1912-30 Sep 1913) Training with the I.
Hans Fechter passed away on 04 July 1955 in Berlin.